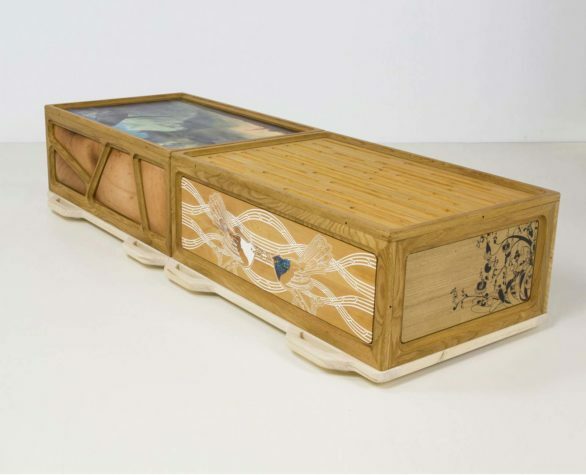 The Center for Furniture Craftsmanship has welcomed a new exhibition to their Messler Gallery: Boxes to Die For, with work by 30 accomplished makers and designers from seven countries. 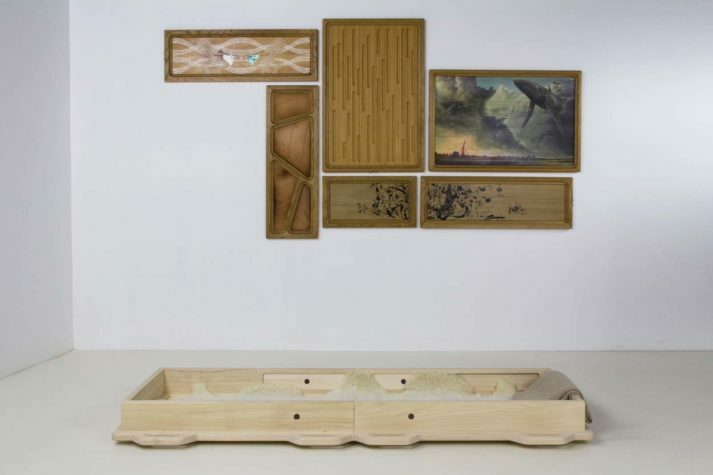 The artisanal urns and coffins featured in this exhibition showcase designs from every side of the world. 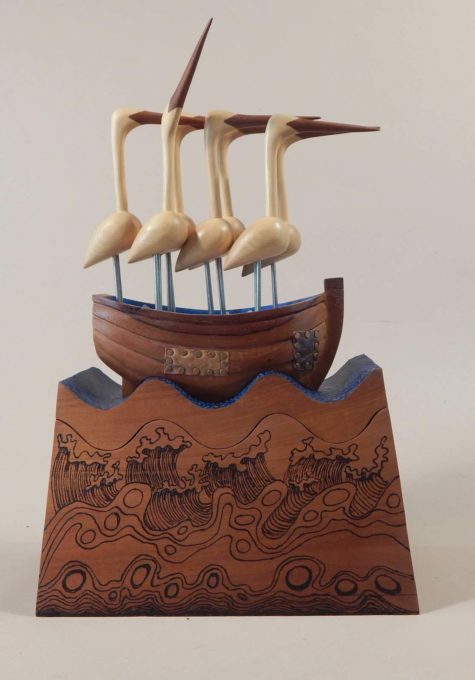 Each exhibitor works with wood as a sculptor, furniture maker, carver, or turner. 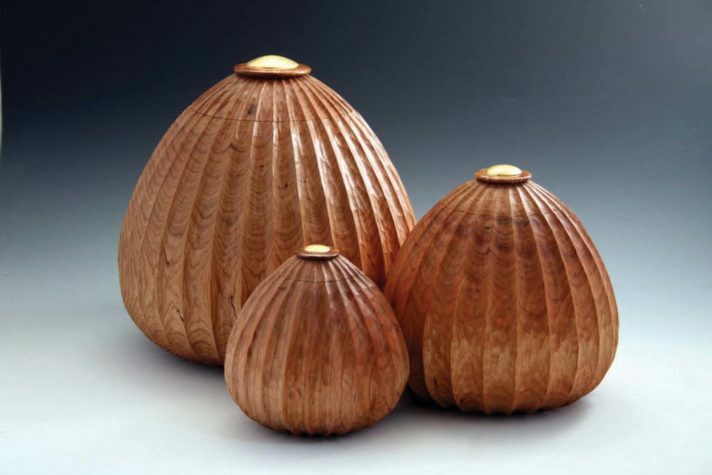 Three of the exhibitors (Mason McBrien, Malcolm Ray, and Jacques Vesery) are based in Maine. 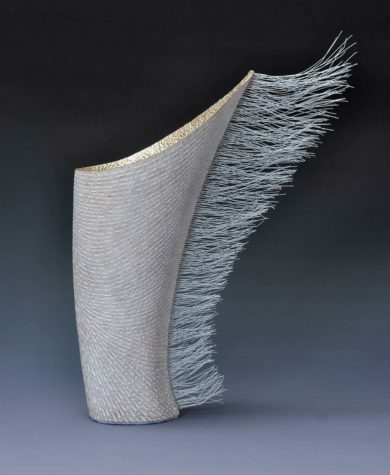 Each piece found in Boxes to Die For is made with a specific purpose in mind: as a container intended for the burial of humans or animals or as a container intended to preserve cremains. Many of the pieces in the exhibition hardly resemble a standard box, coercing the viewer to take a closer, second look. The Messler Gallery annually hosts four exhibitions that include juried, curated, and traveling shows. “Through its Messler Gallery, the Center for Furniture Craftsmanship advances public awareness of contemporary design and art in wood,” says Victoria Allport, the Center’s gallery and marketing manager. The Center for Furniture Craftsmanship seeks to provide an education for those who want to design and build furniture with a high level of craftsmanship. As home to the only gallery in Maine dedicated to year-round showings of furniture and wood art, the Center for Furniture Craftsmanship provides a comprehensive educational experience for students and visitors alike. Boxes to Die For opened in January and is available for viewing until April 10th. The Messler Gallery hours are from 9 a.m. to 5 p.m., Monday through Friday, and 10 a.m. to 4 p.m. on Saturdays. 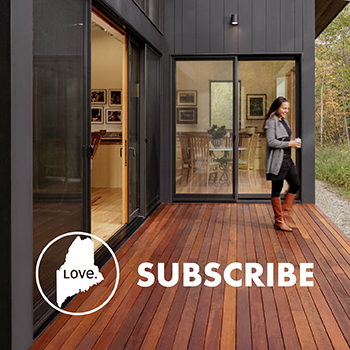 Maine Home+Design provides a preview of the exhibitionhere.